Google is bringing Assistant to Android Messages. Having previously added Assistant to Google Maps, Google has now decided it belongs in Messages too. 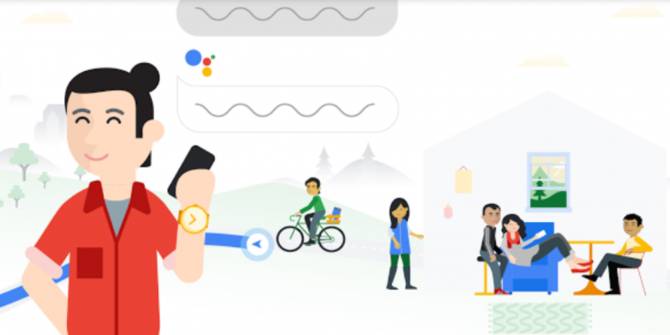 Google Assistant What Is Google Assistant and How to Use It What Is Google Assistant and How to Use It Google Assistant is a powerful voice assistant for Android and iOS. Here's what it can do and why you should start using it. Read More will essentially add an extra layer of information around the subjects you’re talking about. Google is pushing Assistant hard. The company’s latest attempt to put Assistant everywhere is to insert it into Messages. This is the default messaging app for Android, and it supports SMS, MMS, and RCS. And it now has added backup from Google Assistant. Google Assistant will be phased into Messages for English users around the world. Once integrated, Assistant will offer suggestions related to the things you’re talking about. This includes movies you want to see, restaurants you want to visit, and even the weather. A suggestion will pop up, and you can decide whether to view it and share the information, or just ignore it. Either way, these suggestions are generated on your phone, so you don’t have to worry about Google reading your private text messages. Beyond Messages, Google Assistant is also coming to more feature phones powered by KaiOS. And in the coming months, Google is bringing voice typing to KaiOS. This means feature phone users will be able to dictate text messages, web searches, and more. This all suggests that Google is determined to put Assistant everywhere. After all, it’s now available on your phone, in specific apps, and on smart speakers. And that’s not a bad thing for those of us who like to have a world of information literally at our fingertips. It should also be noted that Google is ending support for Allo Google Is Killing Allo to Focus on Messages Google Is Killing Allo to Focus on Messages Google is killing Allo to focus its efforts entirely on Messages. Which makes sense, but is frustrating nonetheless. Read More in March 2019. Allo was a smart messaging app which heavily featured Google Assistant, making Assistant’s move across to Messages a timely one. And surely not coincidental. Explore more about: Feature Phone, Google, Google Assistant. I use Google Assistant mostly for driving directions. It's just a lot easier saying the destination rather than typing in the address, character by character! So, while nice to have, I certainly hope GA can be made optionally to stay in the background. NO, I do not want GA 'helpfully' giving me unsolicited recommendation. Thanks.